These golf accessories are great to hand out to all of your golf buddies. They clip right to your golf bag, gym bag. Hang in your locker. Even hang from your golf themed Christmas Tree. I have two sets available in my shop on Etsy. Each set comes with 10. Nice to have 10 individual gifts ready to go when ever you need one. Take one or two as a Host / Hostess gift. Hand them out at the club house. Makes a nice gift for your caddy. Set one on your desk at work. Head over to my shop with this easy link. http://shopworndesigns.etsy.com. Just click onto link and it will take you right there. You can see more great photos and see other gift sets I have available. Happy Holidays and Happy Shopping. ARE YOU SUPER BOWL READY? GET YOUR PARTY FAVORS WITH JUST ONE CLICK. SET THESE SPORTS ACCESSORIES OUT TO DECORATE YOUR HOUSE FOR THE BIG SPORTS PARTY AND THEN LET YOUR GUESTS PICK ONE JUST BEFORE THEY LEAVE TO TAKE HOME WITH THEM. EACH SET COMES WITH 10 PARTY FAVORS. THEY ALSO MAKE GREAT HOST / HOSTESS GIFTS. THEY HAVE A HANGER ATTACHED. 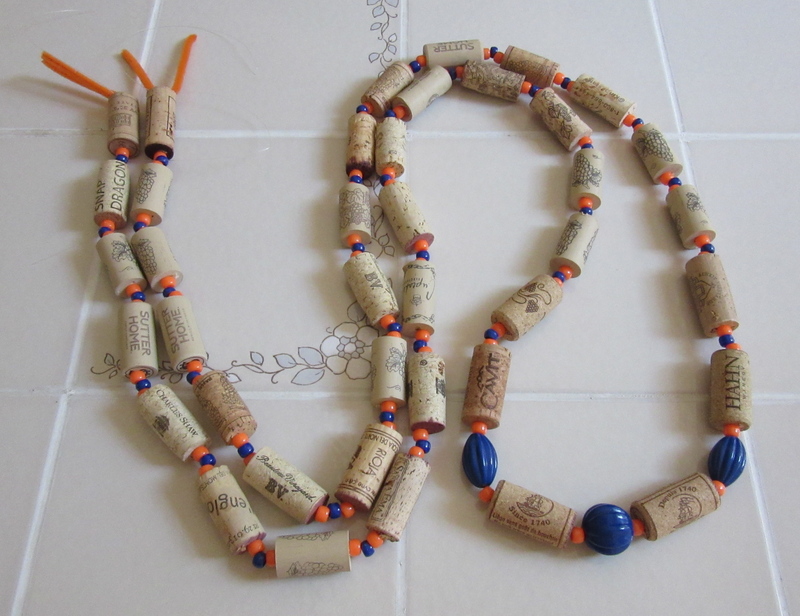 YOU CAN TIE ONE TO THAT BOTTLE OF WINE OR CASE OF BEER YOU WILL BE TAKING TO THE NEXT PARTY. NICE TO HAVE A LITTLE SOMETHING EXTRA. NICE TO TAKE TO THE NEXT TAIL GATE PARTY. EACH SET COMES PACKAGED IN A NICE STORAGE TIN. YOU CAN PASS THEM OUT TO ALL OF YOUR TAIL GATE FRIENDS. FROM YOUR SPORTS THEMED CHRISTMAS TREE. Checkout all of my sports accessories that are available in my Etsy Shop. Just click onto this easy link and it will take you right there. http://shopworndesigns.etsy.com. ENJOY THE SUPER BOWL !!!!!! Get these baseball accessories and others. Check out my shop on Etsy at http://shopworndesigns.etsy.com. You can see this and many others that are available. Clip to your gym bag, purse, briefcase. Place on your desk, even hang from your Christmas Tree. They make great gifts. 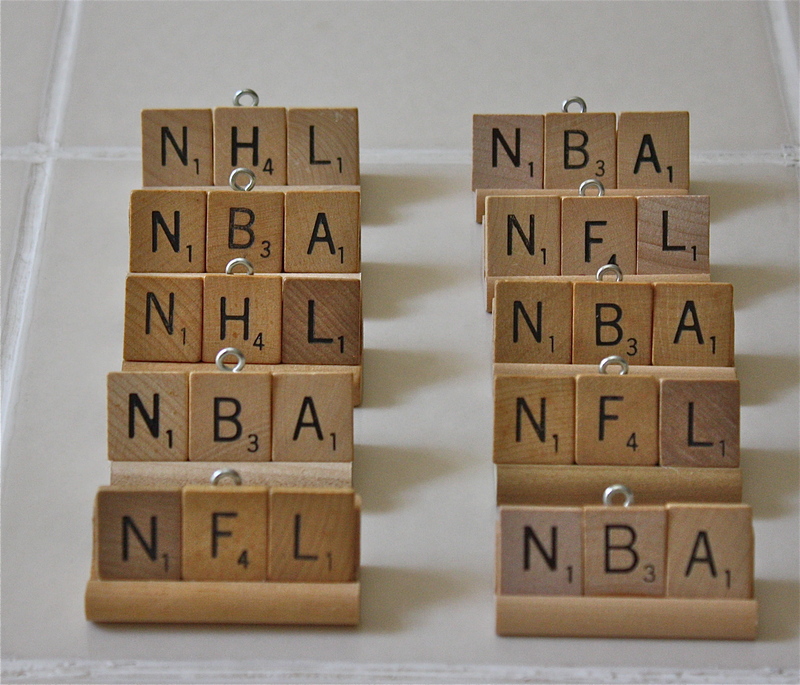 Nice as party favors for your next sports party. Head over to my shop today. Hope to see ya there. 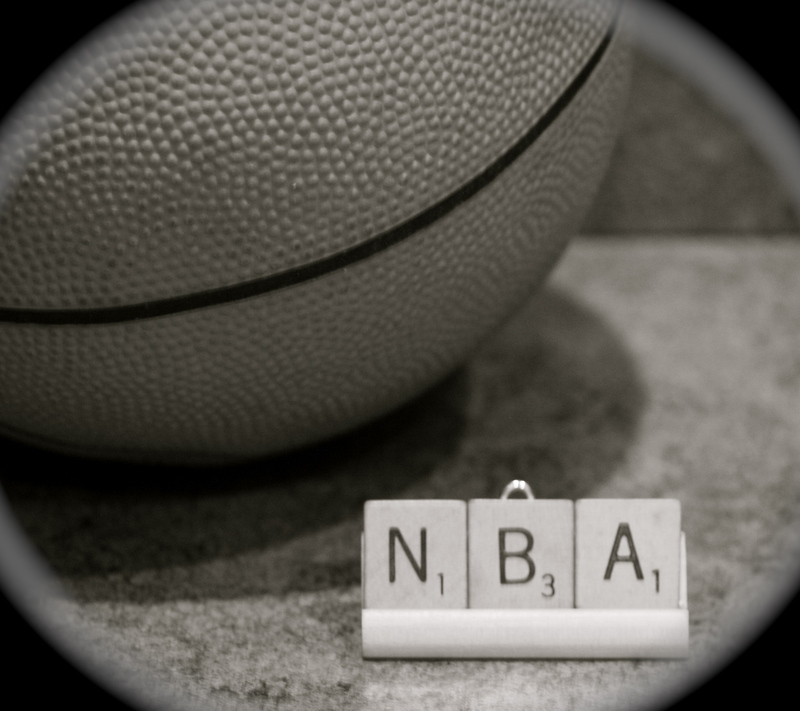 Get your house decorated in your favorite team spirit with my sports accessories. Or any where and everywhere. 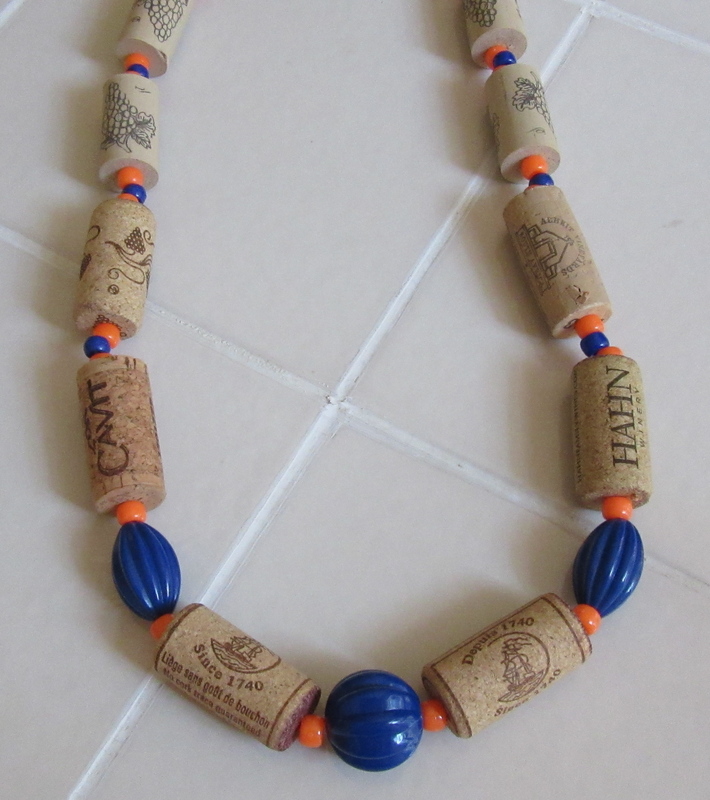 Visit my shop on Etsy to see more photos and great football accessories.Just click onto this link http://shopworndesigns.etsy.com. It will take you right there. And don’t forget your Christmas tree. Have a fun football season. Gator Fans. 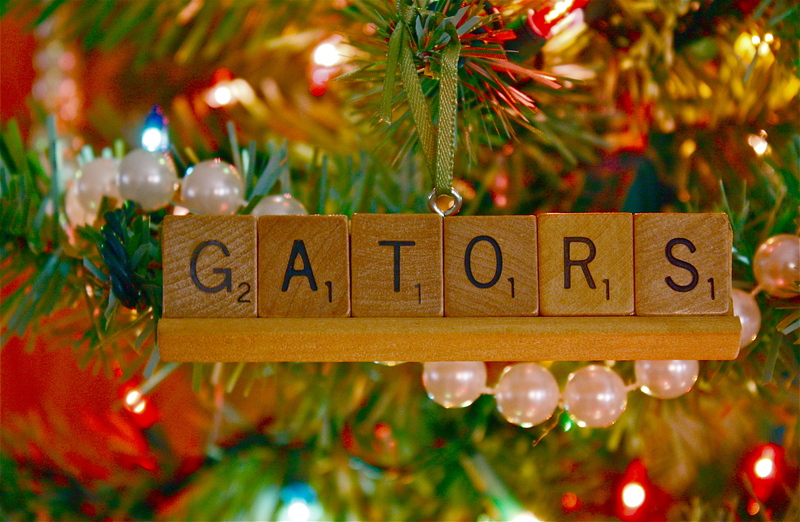 Get your Gator Garland. Ready to go, ready to hang, ready to ship straight to you. You can get some very cool one of a kind decorations for your sports parties and tail-gate parties at my shop on Etsy. Table decorations, Party Favors, Sports Accessories. Stop in for a visit at http://shopworndesigns.etsy.com. Hope to see you there. The season is almost here. Stop by my shop on Etsy at http://shopworndesigns.etsy.com And check out all of the sports teams party favors and decorations that are available. I will include a few photos in today’s post, but you can see more at my shop. Hope to see you there!